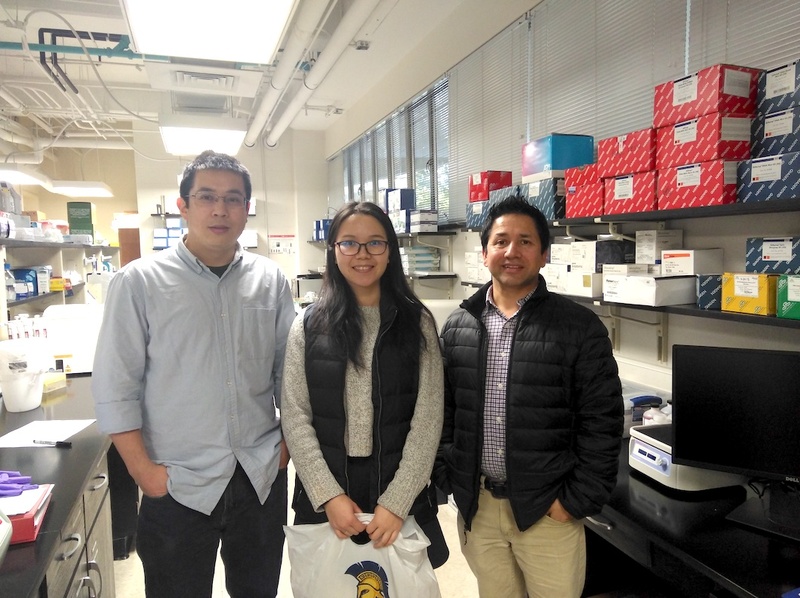 Xiaohong Song, a visiting graduate student from the College of Environmental Science and Engineering, Guilin University of Technology, Guilin, China, completed her 1-year stay in the Bhandari Lab. Her graduate research was funded by National Science Foundation of China and focused on miRNA expression during maternal-zygotic genome transition in medaka embryo. During her stay, she also examined miRNA dynamics during epigenetic reprogramming of primordial germ cells (PGCs, germ line stem cells) as well as effects of epigenetic effects of triclosan exposure during epigenetic programming in medaka embryos. We wish her a success and prosperous scientific career ahead.